It can be worn for 3-5 days at a time and patients shower normally during that time. It contains no latex and possesses no medicinal properties. In other words, there are no active ingredients or pharmaceutical components, so it is not like one of the topical analgesic pain patches that you may have seen advertised on TV. 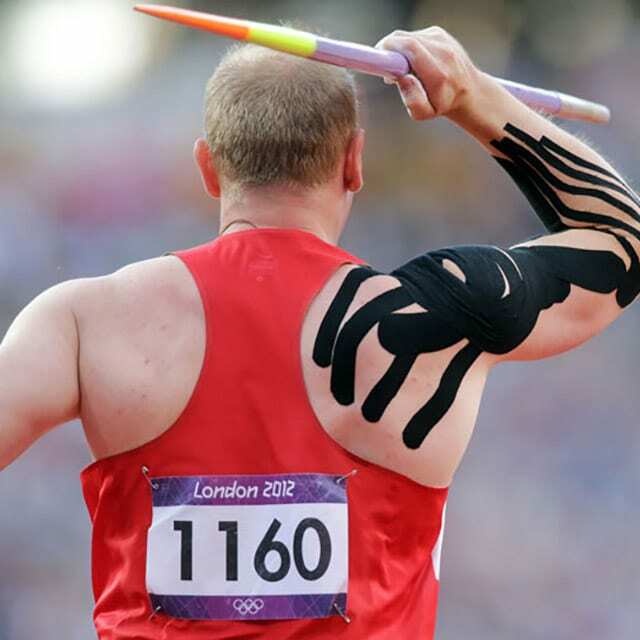 One of the mechanisms by which Kinesio Tape reduces pain is by stimulating the skin. When we bump our elbow or stub our toe, one of the first things we do is rub the area. This is actually an innate reaction we all have to pain. Our body is actually set-up so that stimulation of the skin will result in less pain being felt. In some situations, skin stimulation is used to increase the contraction of a muscle that is too weak. 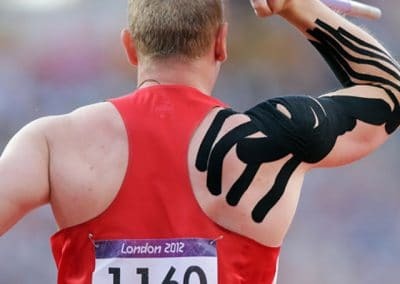 In other situations, the Kinesio Tape is used to inhibit muscles that are too tight. “Athletes are starting to use [kinesio tape] instead of a rigid tape or brace because it allows freedom and they are seeing the benefit,” states Clay Sniteman, ATP trainer. The tape’s design has it lifting the skin to open up space for the muscle to move and for fluids to flow, even if some researchers remain skeptical. 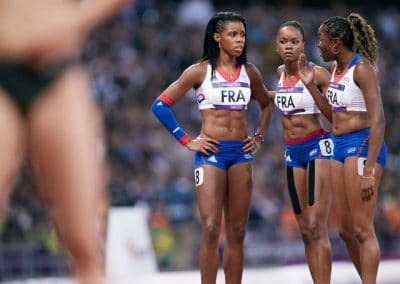 But the sports world has embraced kinesio tape. 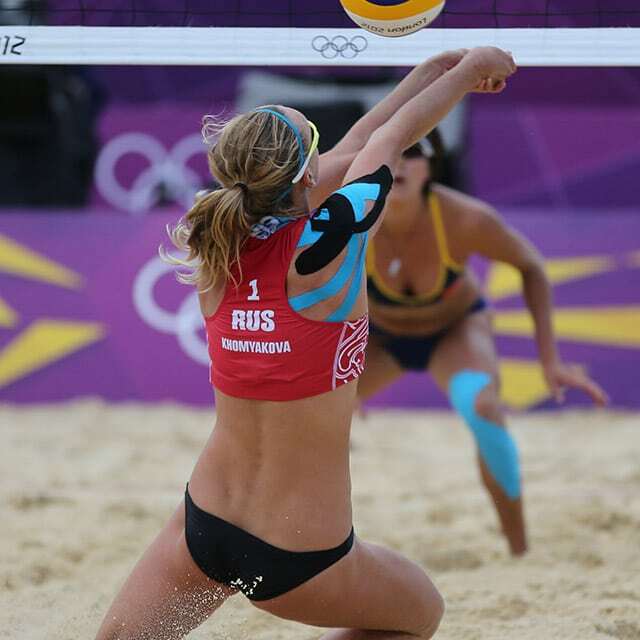 Dotsie Bausch started using the tape as a way to reduce back pain that was hampering her Olympic training. Popping countless ibuprofen pills wasn’t the answer she was looking for and when she started researching kinesio tape roughly four years ago she knew little about it, even if she felt pain relief after using it.